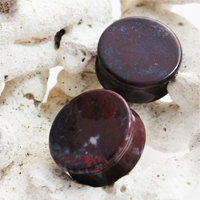 Bloodstone, also know as Chinese Chicken's Blood Stone or Changhua Stone, is known for having a bright red color mixed with white, grey, brown, yellow and black. This stone is a rock rather than a mineral which is composed of a variable amount of cinnabar, which gives it the red color. Bloodstone has been known to be used for many unique orante objects due to it being a softer material than many stones. In China, red is a color that symbolizes good fortune and is traditionally given at wedings for good luck. 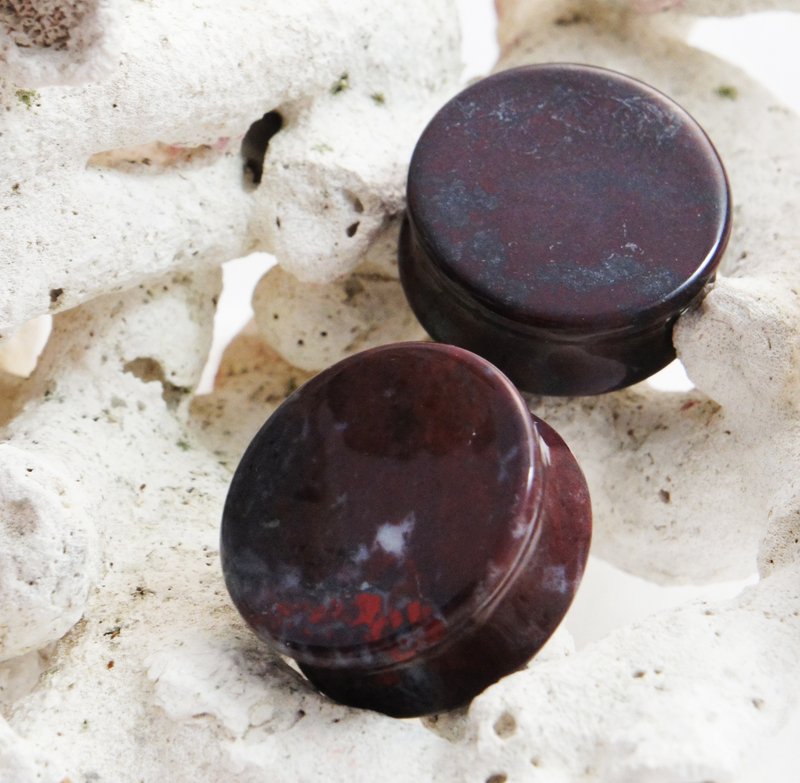 These solid bloodstone plugs are double flared and come in several gauge sizes. NOTE: Item is sold as a PAIR of plugs.